On Tuesday 12 April 2016 131 Commando Squadron renamed their Kingsbury headquarters 'Lonergan Lines' in memory of WO2 (SSM) John Lonergan. 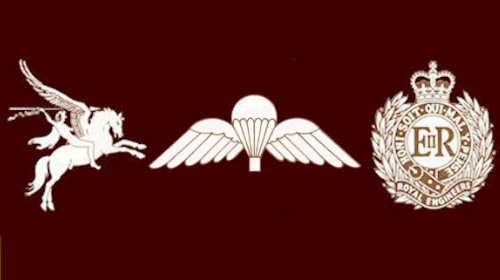 WO2 Lonergan was the sergeant-major of 300 Parachute Squadron, the Scottish sub-unit of the former 131 Parachute Engineer Regiment. He was the first Territorial Army soldier to be killed in action since the Second World War when dissidents attacked the camp at Al Milah in the former Federation of South Arabia (now Yemen) on 12 April 1965. The Association was strongly represented at the ceremony, which took place on one of 131 Cdo's training nights 51 years to the day after WO2 Lonergan's death. A large number of veterans of service in Aden and South Arabia were among the 120-plus personnel present. The plaque commemorating the event was unveiled by Lt Col Tom Salberg MBE, CO 24 Cdo Engr Regt, on behalf of Minister for Reserves Julian Brazier TD MP. The Minister, himself a former 131 officer, and the son of Lt Col 'Jock' Brazier who commanded 3 Tp 9 Indep Para Sqn when they dropped at Suez in 1956, was unable to attend in person due to a last-minute tasking from MOD. However, he recorded a very poignant and personal video-message which was played at the event in his place. 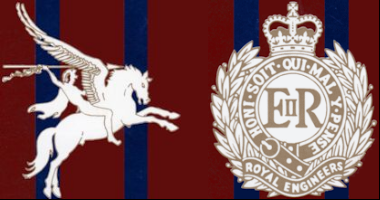 John Lonergan, from Glasgow, was one of 357 members of 131 Para Engr Regt who deployed to Aden for their two-week camp, 'Ex Jockey Club', in 1965. 131 assisted with the construction of the Dhala Road, a major Corps undertaking which involved making the main supply route to Dhala near the then border with Yemen less vulnerable to the placement of mines, ambushing and the effects of flash flooding. The bulk of the Regt operated from Al Anad about 30 miles north of Aden, but a large part of 300 Para Sqn deployed 30 miles further up-country to Al Milah, where 24 Fd Sqn were based at the time. The camp at Al Milah was a attacked by dissidents at 0015 hours on Monday 12 April 1965, firing machine guns and RPGs into the camp from a nearby ridge. The fire was concentrated on the Offrs' and Seniors' lines and despite a strong return of fire from the Sappers in the camp lasting over an hour, WO2 Lonergan and Sgt Atfield from 24 Fd Sqn were killed and 5 others, including Sgt Earl and Capt MacLachlainn were injured. 131's medical officer, Maj Clive Samuel, treated all the casualties under the full weight of the enemy's fire and was recommended for the MC. He later received the MBE for his actions. The bodies of WO2 Lonergan and Sgt Atfield were buried the same day at Ma Allah Cemetery in Aden with full military honours, with 131's Padre 'Kit' Kelly conducting the service.